The color pink has never been hotter for sneakers than it is this year, as virtually every sneaker seems to have been released in some variety of the hue throughout 2017. 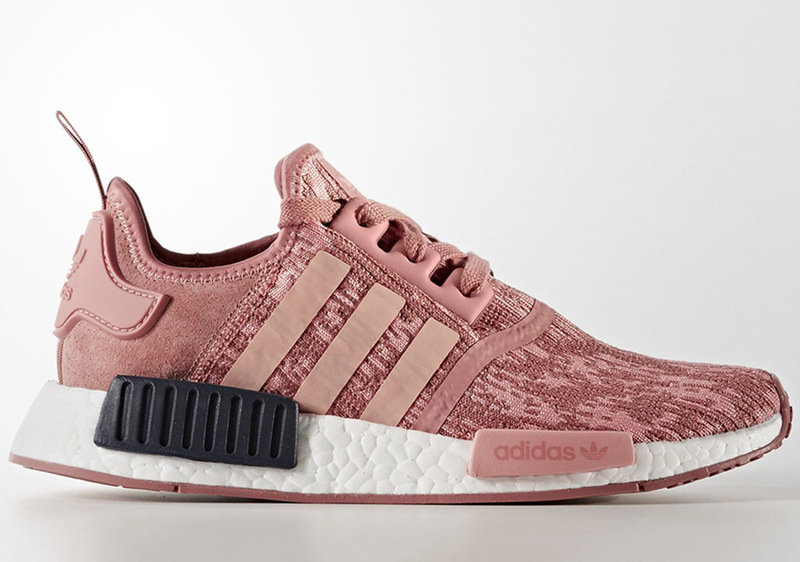 Of course, one of the most trendy sneakers on the market is among those that’s been dropping in its own pink renditions, the adidas NMD R1. Pink is back once again on the popular silhouette in not one, but two options hitting retailers this Friday for the women’s “Raw Pink” pack. 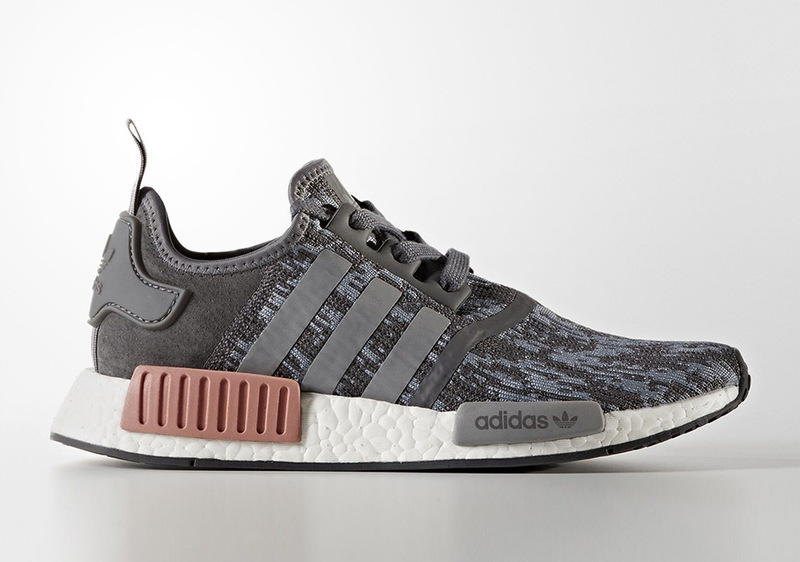 You’ll have your choice of the Raw Pink shade across the entire Primeknit upper on one colorway, or just a touch of pink on the rear bumpers of the second version in grey. Also tying the two together is the classic glitch camo motif across the uppers. 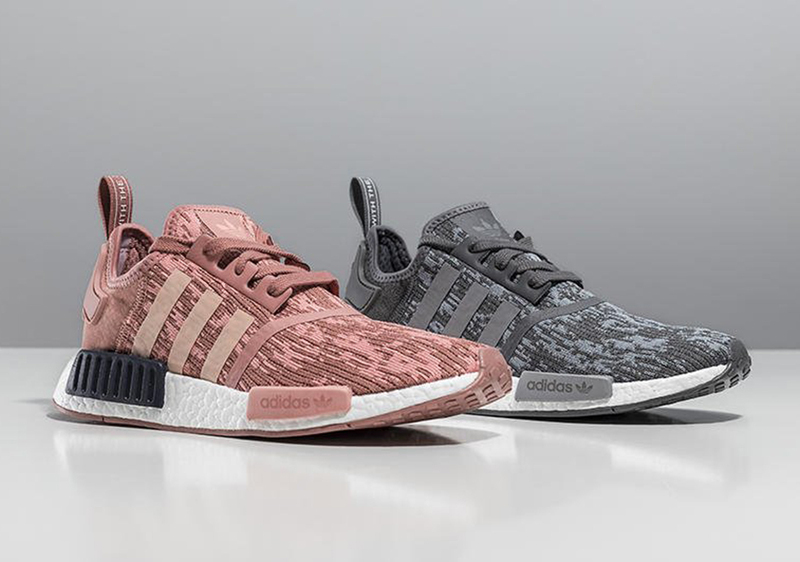 The women’s “Raw Pink” pack drops at select retailers like Finish Line this Friday, September 1st.